Dr. Erin Killingworth, Assistant Professor in Samford University’s Ida V. Moffett School of Nursing, has been selected as a scholar in the prestigious Sigma Theta Tau International Nurse Faculty Leadership Academy (NFLA). The intense international leadership development experience is designed to enhance the personal leadership development of new nurse faculty in order to promote faculty retention and cultivate high performing, supportive work environments in academe. 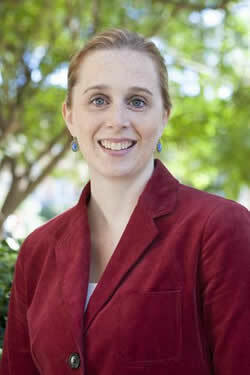 Killingsworth, a member of the Samford faculty since 2009, is the first NFLA Scholar from Samford University. Since 2009, 31 scholars, their mentors and 10 Expert Faculty—representing 29 universities, 15 states and provinces as well as several countries and the United States—have found success through the NFLA. “It is a tremendous honor to be chosen for the NFLA and to have the opportunity to be mentored by internationally known nursing educational leaders,” commented Dr. Killingsworth. Throughout the next 21 months, Killingsworth will work alongside her Leadership Mentor, Dr. Marilyn Oermann, Professor and the Director of Evaluation and Educational Research at Duke University School of Nursing, on a Leadership Project to design a template for use in nursing educational programs to map assessment activities throughout undergraduate nursing curriculum to desired student outcomes. The NFLA is designed for aspiring leaders in nursing education who have at least two years, but no more than seven years of experience, as full time non-tenured faculty in a school of nursing.